I had almost forgotten about these lovelies. Almost. Taken during Melbourne’s unbearable, 35+ degree, month long heatwave. Funny story this and virtually a last moment thing, this ensemble was quickly put together for Stephanie to parade around in later that night. You see we had forgotten about an important soiree that evening and with no time for some much needed retail therapy into the closet we ventured scrambling for something that could appropriately be paired together. Alas came the combination above. 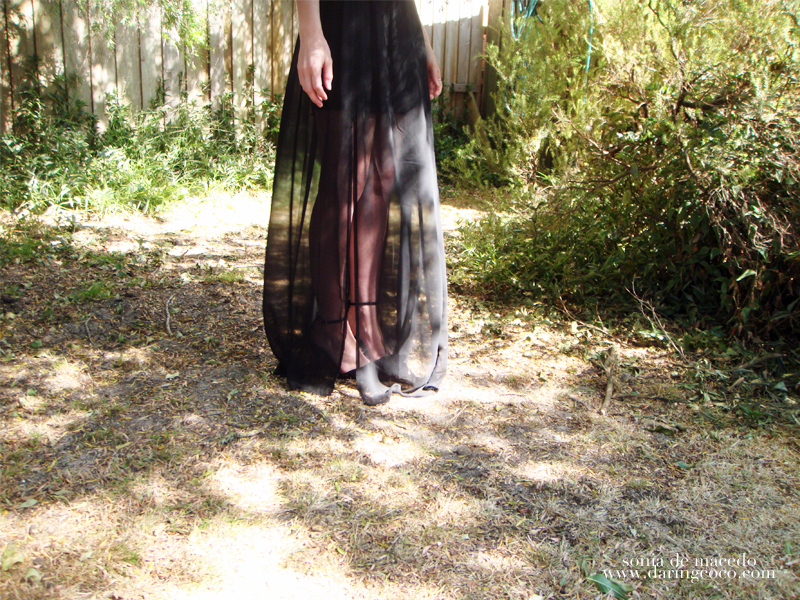 A glam, rock ‘n’ roll bralette and the never fail sheer, billowy black maxi skirt. Perfection on Stephanie, am I right! WEARING: Atmos&Here crop bralette, ASOS maxi skirt, Samantha Wills earrings, Sabo Skirt rings, Atmos&Here cuff.